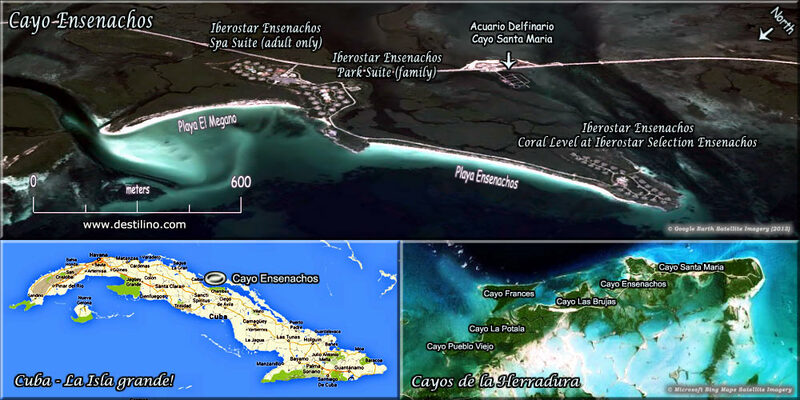 This hotel is located on the island of Cayo Las Brujas, about 10 km from Cayo Santa Maria and 97 km from the International Airport Santa Clara (SNU). This 7 km2 (2.7 sq. 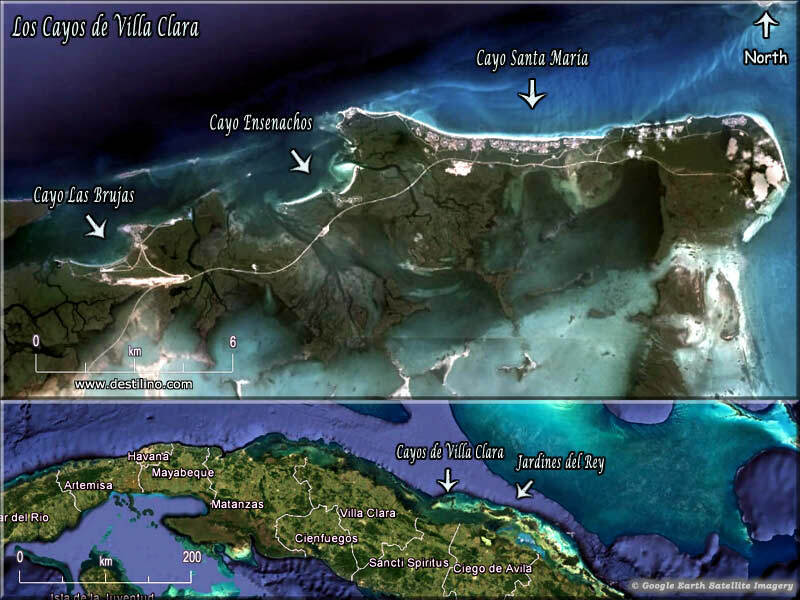 mi) islet is located off the north coast of the province of Villa Clara in Cuba, in the Bahia de Buenavista. 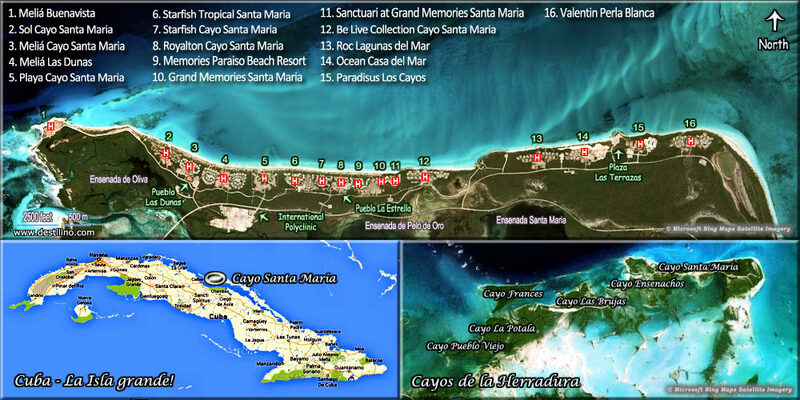 With its two neighboring islets, Cayo Ensenachos and Cayo Santa Maria, they together constitute the resort tourist center of "Los Cayos de Villa Clara" also known as the "Cayeria del Norte". • Motorized water sports ($) and scuba diving ($) available at the Marina Gaviota. • Banyan Tree Holdings Limited, listed on the Singapore Stock Exchange, opened its first hotel in Phuket in 1994. Since then, they offer 30 hotels, resorts, spas, and golf courses in 27 countries. It's their first hotel in Cuba. We are Lily and Normand, globetrotters and Cuba lovers. Our travels took us to many wonderful countries around the world but, Cuba will always have a special place in our heart. We've been to "La Isla Grande" more than fifty times. We like to call Cuba our "segunda casa". We are Canadians so we need to escape from our harsh and long winters once in a while! Traveling and building websites are our greatest passions. 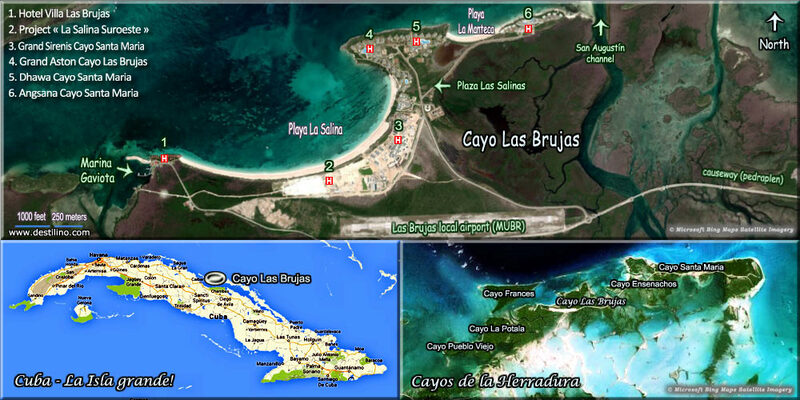 Cayolasbrujas.info is online since 2009!